Municipality in the province of Olbia-Tempio, located in the area of Gallura, opposite the islands of Santo Stefano and La Maddalena, Palau, on the border with Costa Smeralda, features a coastline rich of small rocky islands, charming coves and fine sand beaches. 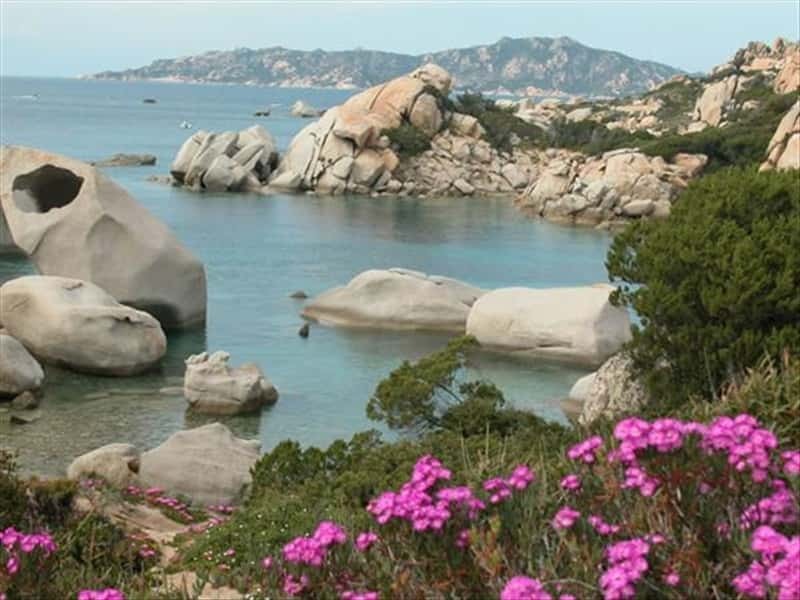 On one of the cliffs facing the archipelago, it is possible to distinguish the Capo d'Orso (bear's head), a large granite rock named this way for the shape naturally sculptured over the centuries by the atmospheric erosion. The town features an important commercial port and a fully equipped marina. The area was inhabited since ancient times, as evidenced by the tombs of giants and the nuraghi present in the area. In 1793 French troops, under the command of a young Napoleon, attempted to conquer the island and even though they had occupied the fortress of St. Stephen, they had to withdraw after only three days . The attempt failed due to the fierce resistance put in place by the fleet led by Maddalenino Millelire and the organized attacks of the local shepherds of Gallura. The founder of Palau was Giovan Domenico Fresi, known with the nickname "Zecchino", who built his home here and was also the owner of the surrounding lands. Initially, the center represented the main departure point to reach La Maddalena. Main features worth of a visit are: the late XIX century garrison and fortifications built here; the outstanding beauty of the areas of Capo d'Orso and Altura. Till 1959, the town was a district of Tempio, while at present it is an independent municipality and a World famous resort. This town web page has been visited 27,958 times.